Thursday, January 9th or Saturday, January 10th. You MUST bring copies of your most recent Tax Return and any Public Assistance Income Verification letters (if applicable). Together, we will file the FAFSA form which is an important part of your child’s college application process. In response to Typhoon Haiyan, which caused massive damage, destruction, and death to the people of the Philippines, our middle school advisories started a fundraising initiative called “West Helps East” to aid the victims. 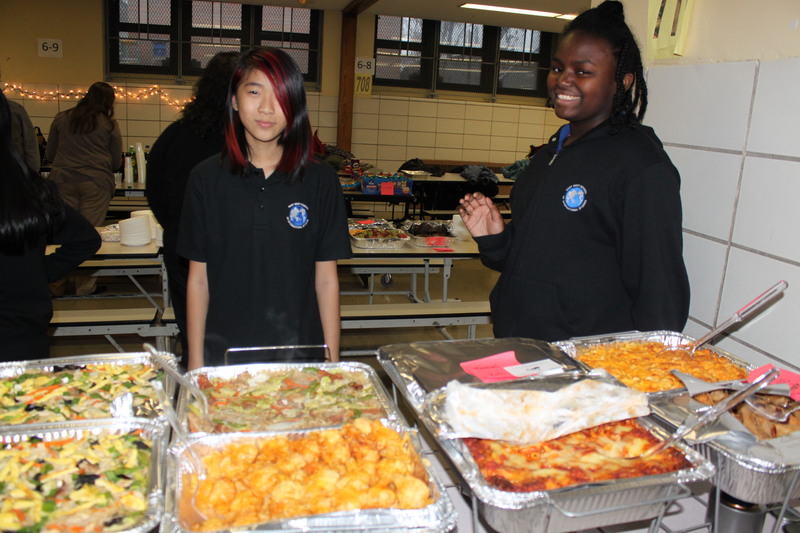 As part of this initiative, our middle school students planned a Winter Potluck Feast, which took place on December 17th. 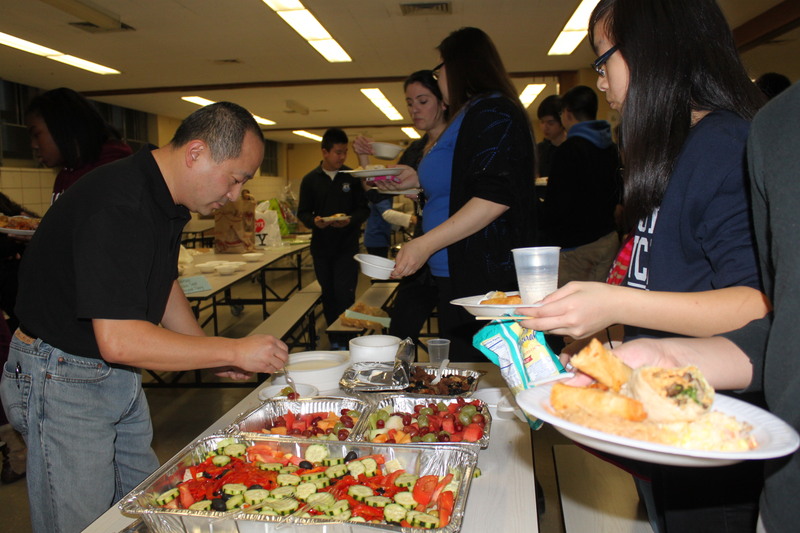 It included an international buffet (empanadas, fried dumplings, chicken adobo, etc. 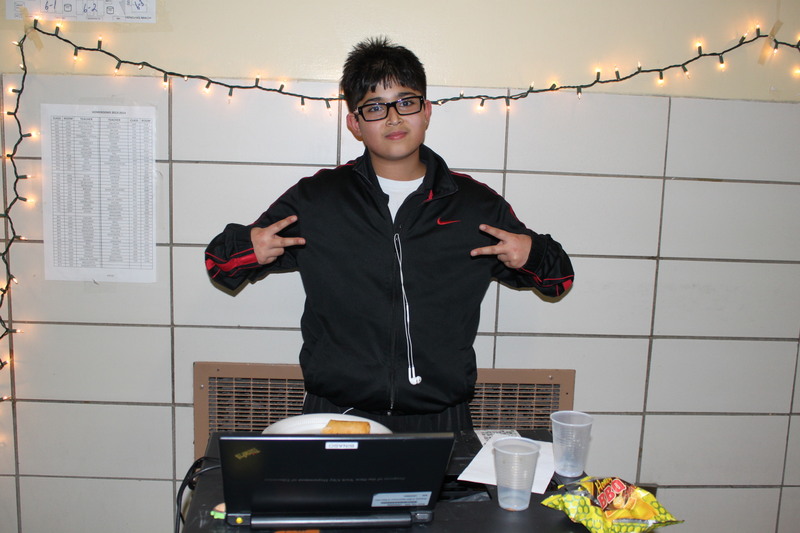 ), a pie eating contest, raffle, music (student-created playlist included Filipino songs, K-pop, holiday music, popular music, etc. ), and games (generously loaned by Ms. He’s Games Club). 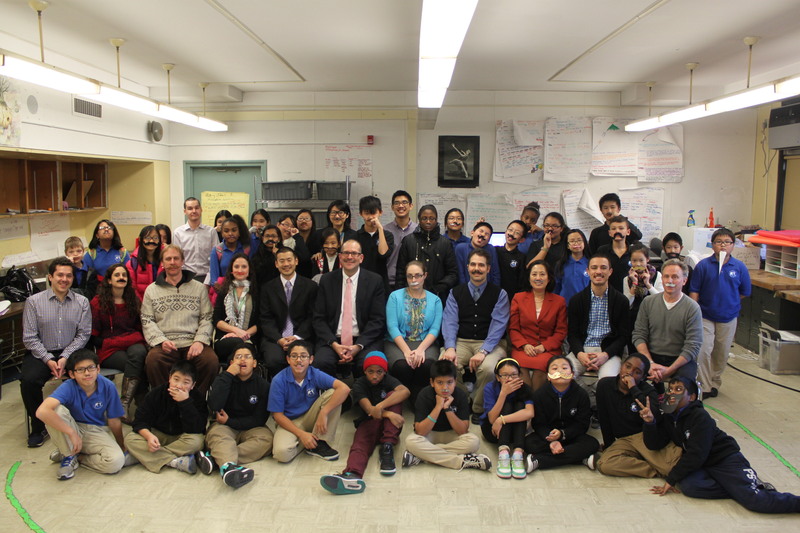 In an effort to make a meaningful contribution to victims of this tragedy, while also teaching our students about the importance of community, empathy, and what it means to be a citizen of the world, Ms. Binaso, Mr. Oppenheim and Ms. Dinkelaker, our East-West teachers, spearheaded this event. This past summer, Ms. Binaso worked closely with the organization Gawad Kalinga, a Philippine-based poverty-alleviation organization that is at the forefront of the relief effort. All proceeds raised will go to Gawad Kalinga. 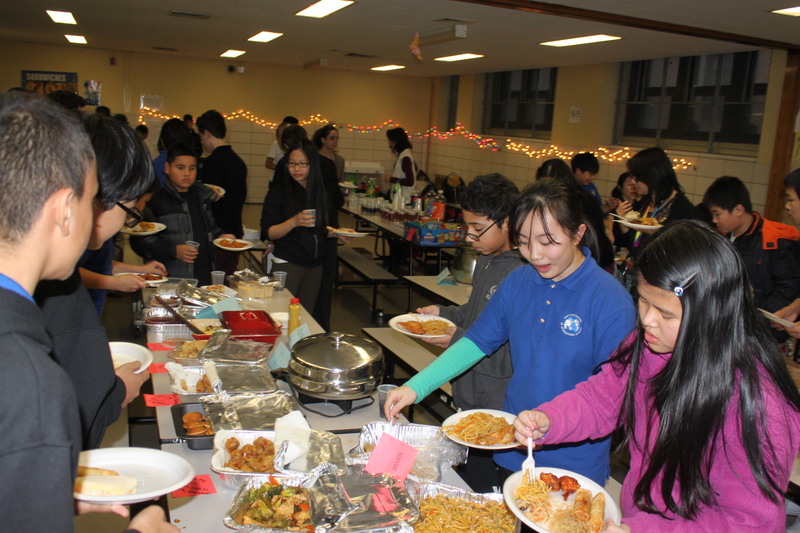 Assortment of international food was available. Thank you to our students, parents and staff for all their support. Salamat po! Thank you to all who attended and contributed to the success of this event. East-West will be running a Kaplan SAT Prep Course for our current 11th graders after school starting Tuesday, January 14th to the Tuesday, April 8th in preparation for the May 3rd SAT Exam. The program will consist of 8 SAT instructional classes which will be 3 hours each, and 2 full length mock examinations which are 4 hours each. 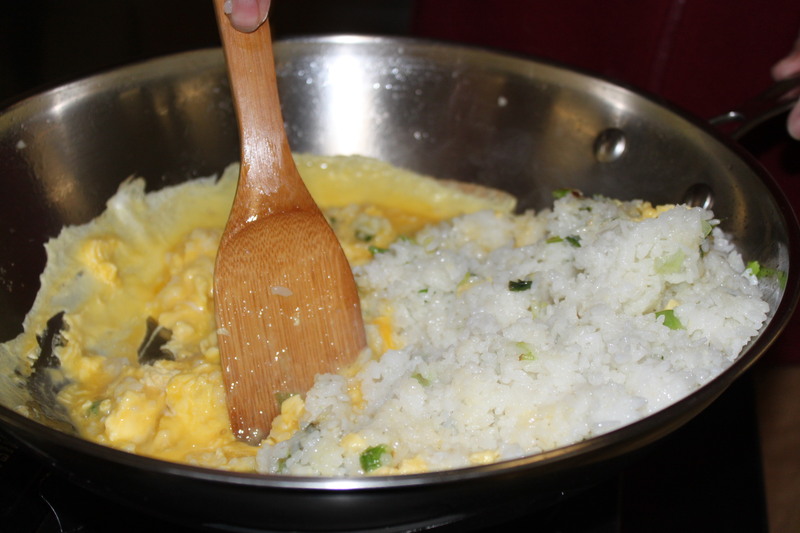 The class is being offered at the greatly reduced price of $78.00 and students are allowed to register on a first come first served basis. Click here to view more information and to print out the Student and Parent Contract. Please note, students who do not adhere to these rules will be asked to leave the program and will not receive a refund for the remaining program. Please return all paperwork to Ms. Washington in order to register. 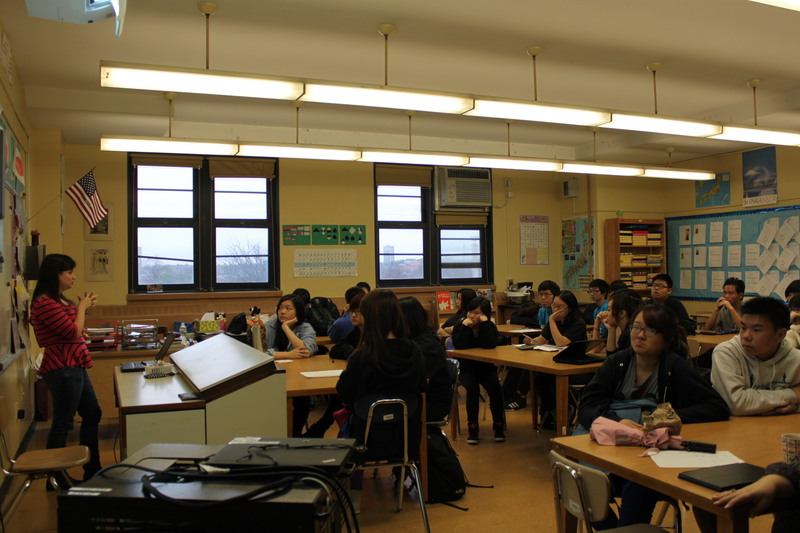 On Friday, December 7th, a special guest came to discuss careers in Engineering with our TEALS/Intro to Computer Science students. 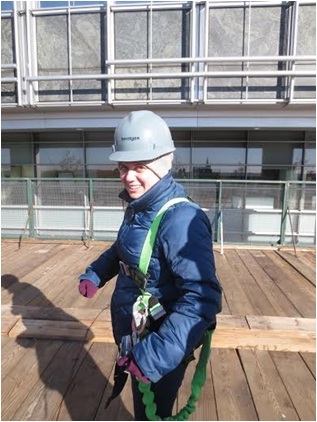 Ms. Katz shares her experiences and what lies ahead in engineering with our TEALS students. 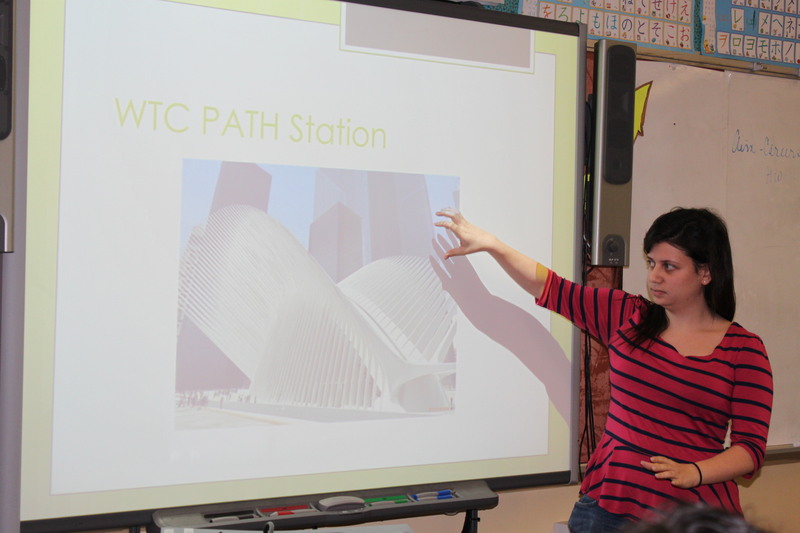 Our TEALS teacher, Mrs. Katz, invited her daughter, Alyssa, who is a structural engineer for an architectural firm in New York City, to talk about her education, work experiences, and opportunities for our students. 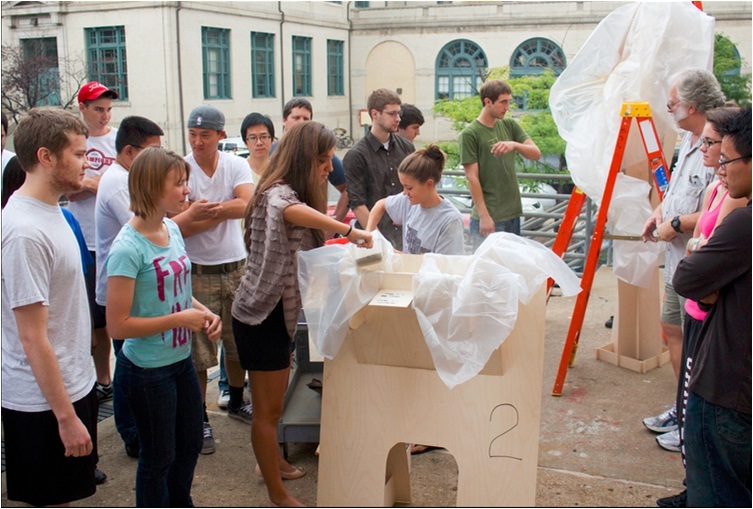 Alyssa is a product of the New York City school system, and a graduate of Carnegie Mellon University. She emphasized the need for students to focus on STEM (Science, Technology, Engineering and Math) skills in high school, and to actively pursue degrees in the various engineering fields. Alyssa told the class that engineers always work in teams, so the ability to collaborate is vital, as are strong communication skills. East-West courses in math, computers, science and engineering are a vital component of the education we provide our students. We are also proud of how reading, writing and communication skills are stressed across the curriculum. This emphasis on communication and STEM skills, as well as our international perspective of the importance of Asia in the global economy prepares our students to be successful in university and productive adults. 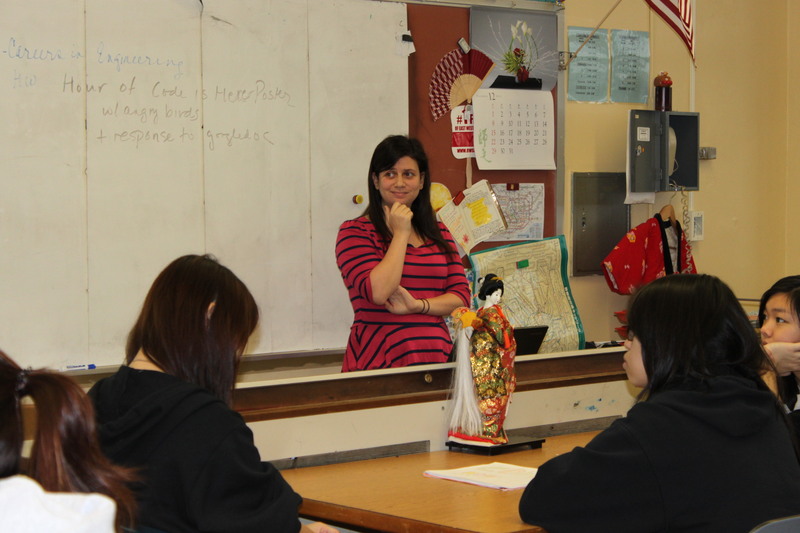 Thank you, Alyssa, for sharing your experiences to encourage our East-West students to consider careers in Engineering. 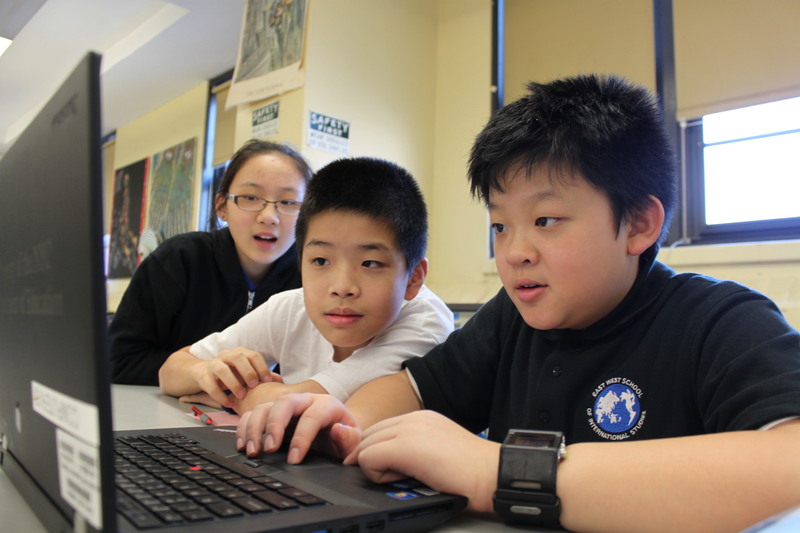 During Computer Science Education Week, our students have the opportunity to participate in the Hour of Code. 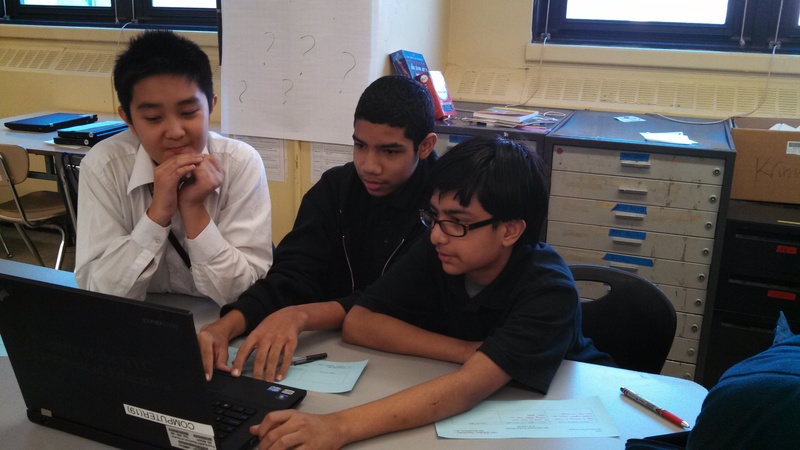 With the help of our TEALS students, guided by Mrs. Katz, our Computer Science teacher, will be facilitating the instructions to our students who will spend a class period learning how to code and create their own computer program. The goal is to build excitement for our TEALS program and get our students thinking about careers in Computer Science. Chloe Lam, TEALS student, leading a presentation on coding. 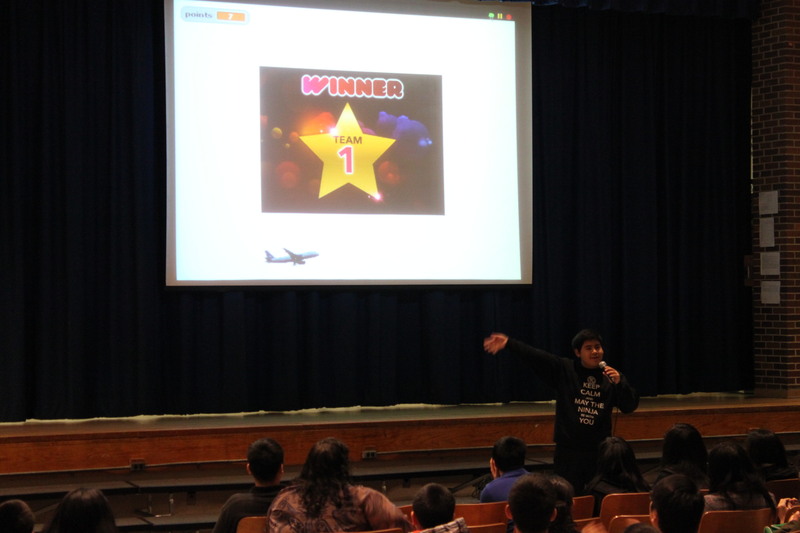 Main Kong Koo, TEALS student, guiding our middle school students during their Hour of Code. 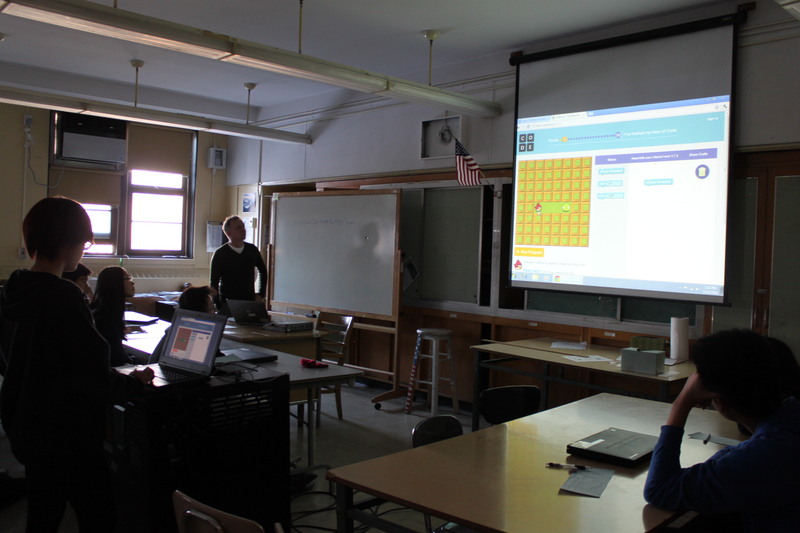 Students learning the basics of coding. 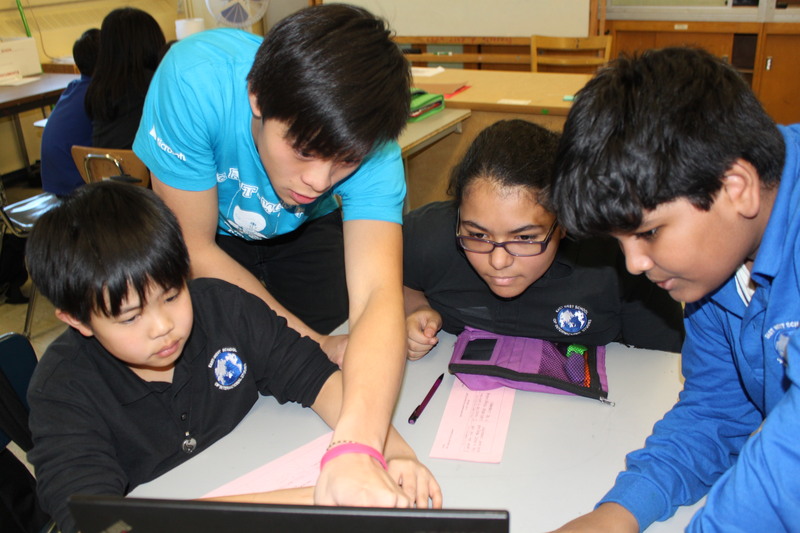 For more information about the Hour of Code 2013 campaign, please visit www.code.org or click here for the Computer Science Education Week pdf. 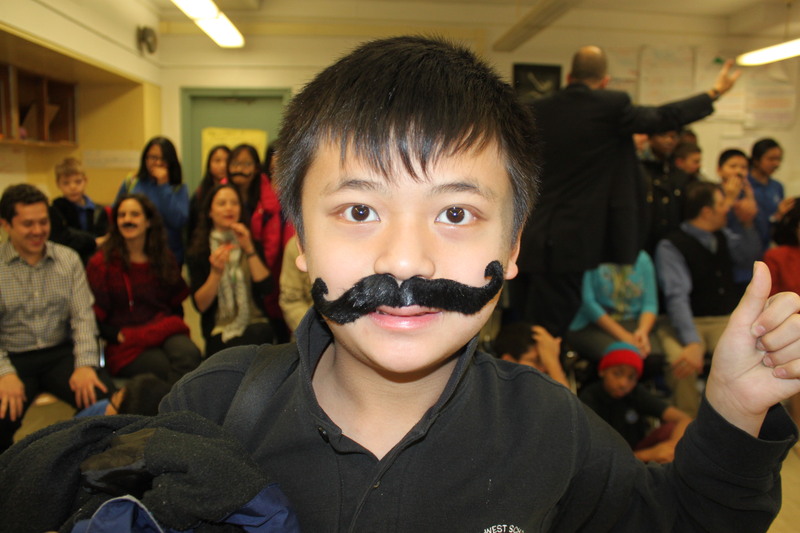 On November 25, 2013 staff and students donned mustaches in support of MOvember to raise awareness and funds for Men’s heath such as Prostate Cancer, Testicular Cancer, and Men’s Mental Health. 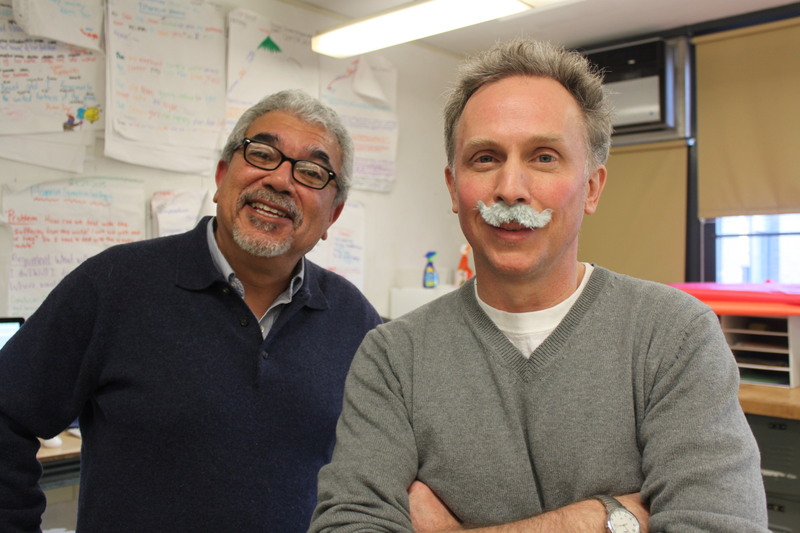 Our esteemed Social Studies teacher, Mr. Oppenheim, supplied fake MOustaches to our students and encouraged discussion during advisory in order to bring about a better understanding of health and charity fundraising in general as being part of an engaged citizenry. Staff and students unite in raising awareness and funds for Men’s health. Thank you to all staff and fellow students for supporting this event. Please visit and consider contributing to The East-West 2013 MOvember team. East-West students participated with our community organizations, Queensboro Neighborhood Association and Green Earth Urban Gardens, to clean up Bowne Playground in Flushing. They spent their Saturday morning sprucing up the playground, painting the park benches and play areas as well as planting daffodils in anticipation for Spring. 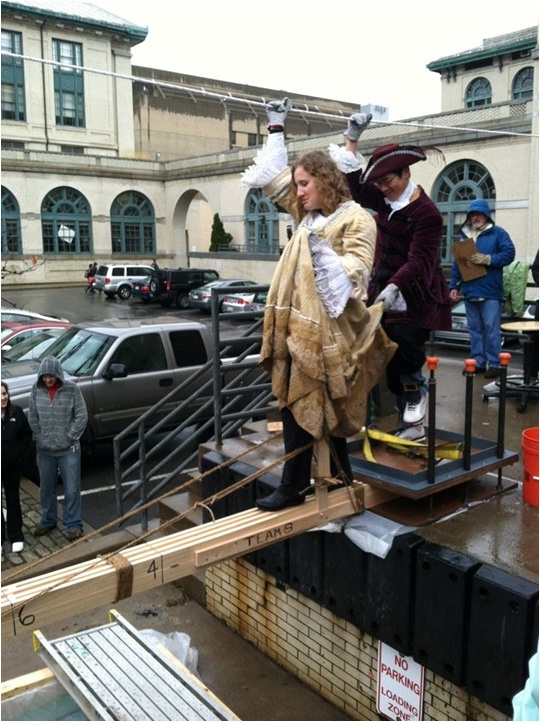 The video was produced by Thad Komorowski.